CNN Trump poll: Why Republicans love Donald Trump. It sees itself in his foreign policy belligerence, anti-elite agitation, and raw bigotry. Donald Trump gives a speech announcing his candidacy for the U.S. presidency at Trump Tower on June 16, 2015, in New York City. 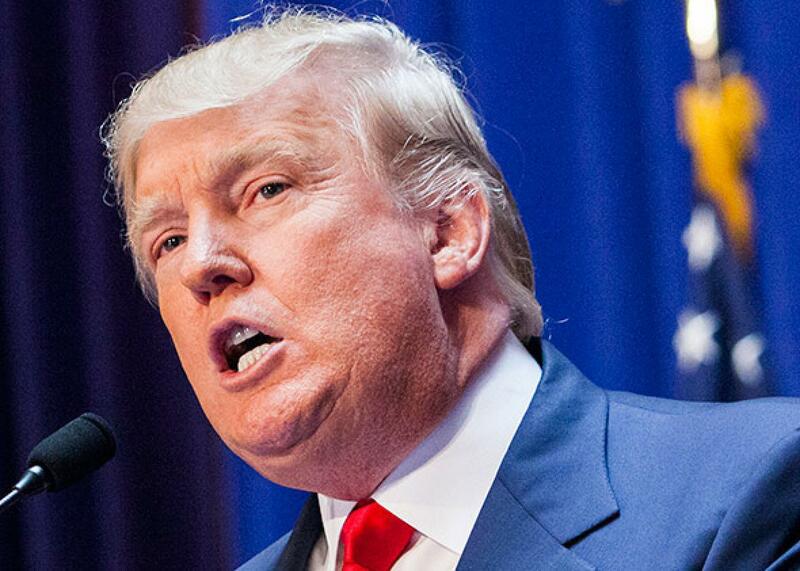 There’s no world in which Donald Trump is a serious candidate for president. Republican elites don’t want him, Republican donors don’t want him, and if—through some cosmic fluke—he managed to win a major primary, every strategist and activist in the Republican Party would turn their aim toward him and his candidacy. The obvious question is “Why?”—why does Trump have a hold on this thick slice of the members of the Republican base? The answer is, unlike the professional politicians in the race, Trump is—from his views on immigration to the “issue” of Obama’s citizenship—one of them. That’s not to say that more serious candidates like Ted Cruz or Bobby Jindal are insincere. They are reliable conservatives with strong, right-wing beliefs and positions. But they’re also elected officials: They legislate, they build coalitions, and they compromise between what they want and what is possible (though this is more true of Jindal than Cruz). They can appease the Republican base with harsh attacks on the other side, but they can’t endorse every crazy idea, lest they hurt their goals and priorities. A political free radical, Trump doesn’t have this problem. He doesn’t have to collect endorsements, or persuade reluctant fundraisers (he’s self-financing), or build a team of party professionals. He doesn’t have to do anything other than put himself on a debate stage and get publicity. And so, he says what he thinks. Through all of this, actual Republican voters not only weren’t bothered, they actually seemed supportive, as evidenced by Trump’s rise to near the top of the heap. The reason is clear. While Trump was out-of-bounds of mainstream conversation, he was well in the bounds of Republican Party politics and the kinds of rhetoric used there about Mexican and Latin American immigrants. Trump also sounds like Arkansas Sen. Tom Cotton, who—in the last month of his 2014 campaign against Democrat Mark Pryor—warned that terrorists were working with cartels to send fighters into the United States. Trump doesn’t just represent the Republican base on immigration. He is the Republican base on immigration. His anxieties are their anxieties. And his rhetoric—a revanchist stew of foreign policy belligerence, small government ideology, anti-elite agitation, and raw bigotry—reflects and appeals to a meaningful part of the Republican electorate. The good news is that this meaningful part is still a small minority of the Republican Party. The right-wing of American populism might be ugly and angry, but it’s not powerful. The bad news, on the other hand, is that you don’t have to be a majority to be influential. You just have to grab the right influence at the right time. Trump is a distraction, but don’t be surprised if a more credible candidate—like Walker, who can cloak his hard-right politics in suburban blandness—tries to bring Trump’s voters to his side. Alone, these voters won’t bring victory. But in a close fight, they could offer the winning points.